The association was founded in 1989 with 40 members and developed into an association for Supervision in Germany counting 4,500 members and 35 organisations. Training institutions for Supervision and Coaching contributed largely to the foundation of the DGSv. Ensuring quality and development of supervisor training has been at the core of DGSv activities from the very beginning. In recent years DGSv has been focusing increasingly on Supervision and Coaching excellence and growing the profession. 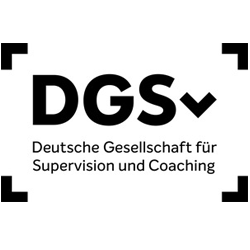 In 2016 the DGSv added “Coaching” to its name. 35 juridical members (training institutions). General Assembly – the highest committee of the association. Board – elected body for control and representation. “Verbandsforum” – mid-year Assembly, the association’s forum for professional and strategic issues. Executive Management – full-time executive body. Development Commission – the association’s think tank. Supervision and Coaching constitute the conceptual foundations for coaching individuals in their professional roles and positions. A central element of the coaching process is reflection. Coaching helps in gaining clarity and enables to develop fresh perspectives based on new insights. Coaching doesn’t assume a linear path and challenges the Coachee to be open to experience. The Coach’s independence and integrity is especially important in this process. DGSv Coaches and Supervisors often draw on various backgrounds and formats, e.g. Team development, Organisational development, Mediation etc. to best meet the needs of their clients. DGSv Supervisors and Coaches serve a broad range of clients ranging from profit to non-profit organizations, individuals and across a multitude of industries and fields. Historically, a great number of clients stem from the non-profit sector. Coaching used to denote a service for the profit-sector. In the course of new working environments in the digital age this divide is becoming increasingly obsolete. Currently the DGSv has a total of at least 40 institutions that offer certified private training or university programs/degrees according to its standards. DGSv Supervisors and Coaches have undergone at least 640 hours of certified training. DGSv standards are the most ambitious in the German Coaching market. DGSv members meet the DGSv Ethical Guidelines, Standards as well as other requirements outlined in the Quality Framework. Developing high-quality training, e.g. by further developing curricula and setting ambitious training standards. Public relations and marketing, e.g. events, agenda setting, expert debate, publications, partnering with profit and non-profit organizations and media engagement. Providing lasting value to its members and stakeholders. Initiating research projects, supporting academic publications with practical relevance as well as supporting young academics. Hosting National, European and International Congresses. Working groups on Supervision and Coaching Excellence . Publishing DGSv branded book series and other titles. Setting Guidelines through accreditation for Coach-and-Supervisor-specific Training Courses. Public Relations to move the profession forward. Member Services as well as services for stakeholders, Supervision and Coaching clients and buyers. Working towards becoming a Knowledge hub for HR professionals and Executive Leadership. In 1994 the DGSv Head Office was set up in the heart of Cologne. Currently 10 full-time staff are working in Cologne in order to further the association’s goals.